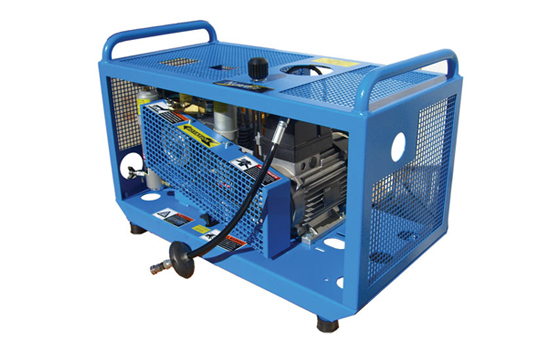 The Small Store & Field Compressor was designed to be the best entry level compressor available to date. This system includes an 4.2 SCFM Compressor (more powerful than other brands), Scuba Tank Fill Adapter, and Built in Single Line Fill Station. The Small Store & Field Compressor was designed to be the best entry level compressor available to date. This system includes an 4.2 SCFM Compressor (more powerful than other brands), Scuba Tank Fill Adapter, and Built in Single Line Fill Station. This is our most popular compressor to date! The Nuvair Small Store & Field Compressor is right for a small field or store needing a compressor that can fill player tanks while not needing the hassle of bulk tanks and cascade systems. Don't let the price fool you, this is a very stout system running 6.5 HP at 5000psi. This system comes in gas or electric.